Well, I knew it was about time for someone to have a Christmas-themed contest. FBTB, one of the best well known LEGO Star Wars sites announced their Christmasification Contest. Christmasify a Star Wars vehicle! It can be a starfighter, speeder, or even a capital ship. Size matters not. 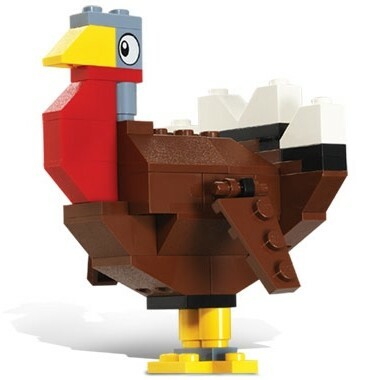 As long as it’s minifig scale and captures a Christmas feel (or other holidays of the season, if you want to Hannukaficate or Kwanzadizzle it). Maybe it’s a reindeer drawn A-Wing, a festive TIE Fighter, or a snowman AT-AT (Frosty the Planet Wrecker) or a sleigh-style landspeeder. Have fun! Holiday vignette! Include at least one movie character, no bigger than a 12×12 base, and a height limit of 1 foot. The vignette needs to capture a Star Wars and holiday feel, and can be as serious or as humorous as you like. Again, HAVE FUN. The last day for submissions is DECEMBER 20th, and judging/voting will occur immediately afterwards. It will be interesting to see what comes out of this one. Reasonably Clever’s Spooky Star Wars contest garnered some really cool Halloween models. One of my favorites was Raxor’s Imperial Candy Corn Destroyer. I know, it takes me a while, but I wouldn’t exactly call myself an Internet wizard. But, finally after three months, I’ve updated my website. I added new models to my portfolio and updated the News and Events section. The only thing not updated – yet – is the Monthly Model Section. Sorry about that. 😦 My plan was to make a Monthly Model, but it probably will be a quarterly thing right now. I am planning to add a new one soon and I will let you know when it is up. 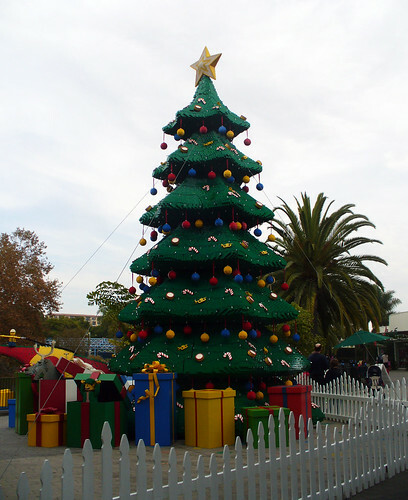 While visiting LEGOLAND California today I was able to see the newly redecorated Christmas tree. They have added more lights and Christmas ornaments in classic red, yellow and blue. Although not all of the decorations are in place for the annual Holiday Block Party, they will be soon. Not only that, but on December 1st at 5:30 pm, they are having their annual Tree Lighting Ceremony with a surprise celebrity guest and honoring the late great founder of Wendy’s Dave Thomas and his Foundation. It looks to be a bit better this year than past years, because they have added strings of lights to the entire tree. There are over 245,000 Duplo bricks in this,one of the world’s largest LEGO Christmas trees. The Holiday Block Party officially rolls out December 20th through December 31st. The entire park gets dressed up, with special scenes in Miniland and special Holiday themed models through out the park including a life-size Santa. Check it out, and Happy Holidays! 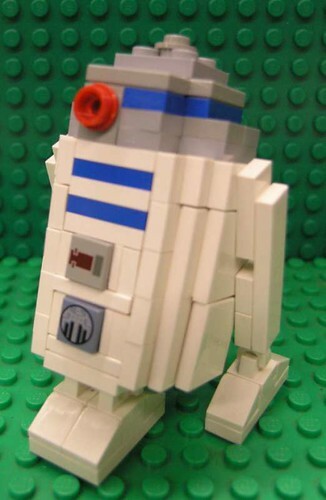 I made this a few years ago for the Star Wars Weekend at LEGOLAND California. Its not quite Miniland Scale, its just a tad too tall, but it is the closest I could come up with. This was one of the first things I used the 1×1 slopes on, if you haven’t guessed they are one of my most favorite LEGO elements ever! Although I did post this on both MOCpages and Brickshelf, it was quite a while ago and I wanted to give you a chance to see it. Here’s a little mosaic I just did today. I say little because it is only about 4 1/2 inches tall and 6 inches wide. It took me about three hours total to design and build this. I used a lot of the 1×1 slopes or “cheese wedges” as they are commonly called. It is 1 brick thick, but a lot of pieces are not attached, so if I knocked it sideways, a lot of the 1×1 slopes would fall out. I’m sure you are all familiar with Dreyer’s (or Edy’s for those of you on the East Coast) Ice Cream. 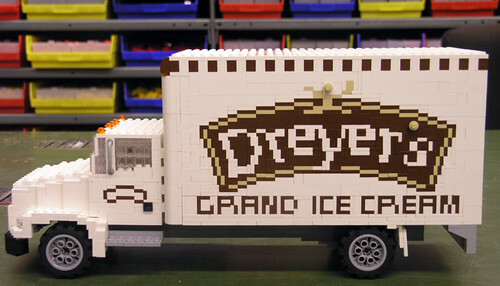 When I was working at LEGOLAND, one of my first design jobs in the Model Shop was to make a Dreyer’s Truck. It was a combination mosaic and car model. It was quite a challenge to make a mosaic that small and still keep all the details of the company logo. Working on this truck is part of the reason that I am so good at Mosaics now. 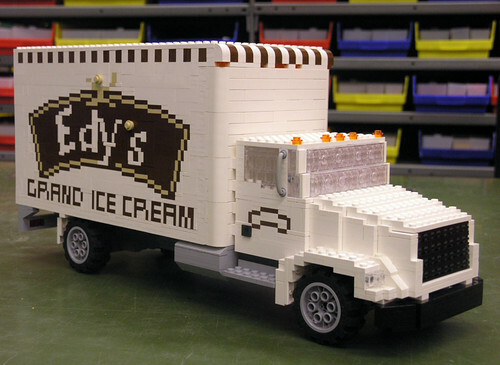 Although I didn’t actually design the truck itself, I copied one of the existing models, I did modify it quite a lot to make it look like an actual Dreyer’s Ice Cream truck. On one side it is Dreyer’s and on the other side it says Edy’s for the West and East Coast brands of the ice cream. It is on display at LEGOLAND California in the Southern California area of Miniland USA. 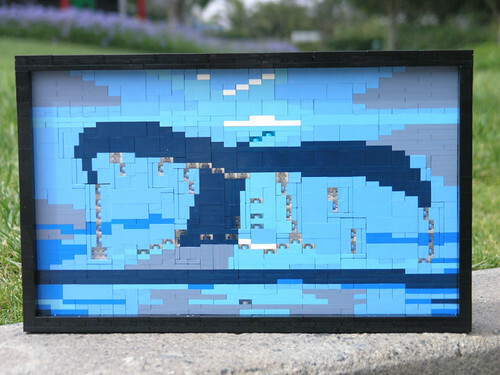 I made this little mosaic a few years ago when I was still at LEGOLAND. It was actually made for Wyland, the artist that does all those ocean paintings. The really tricky thing was getting the right look since Wyland uses dozens of different shades of blue to paint a majority of his pictures. That is why I settled on doing this image. 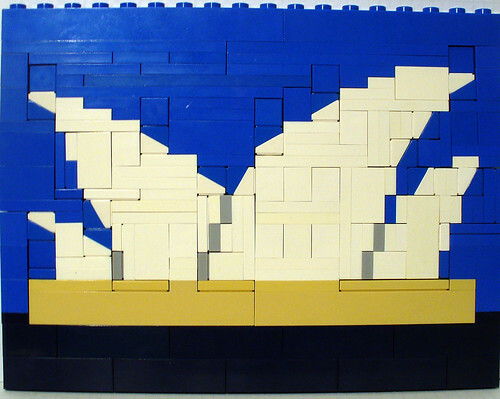 It uses 5 shades of blue: sand blue, medium blue, blue, dark blue, and Maersk blue. I’m sure a lot of you are shocked that I’d use Maersk but in the Model Shop we had a pretty nice supply in a lot of different shapes. I also used white and clear bricks. 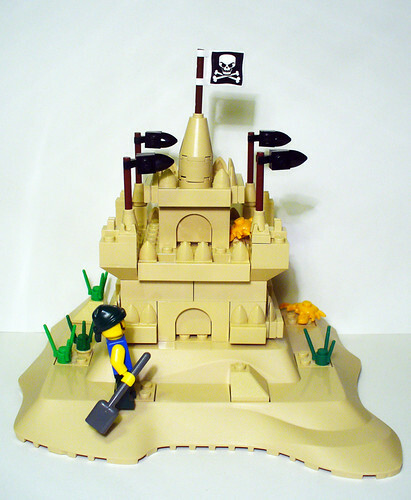 Since I got the new Pirates set Loot Island, I thought it would be only logical to take the baseplate and make a Sand Castle with it. I was just at Toys R Us today and I saw several of the new 2009 pirate sets. I am very excited about these sets! 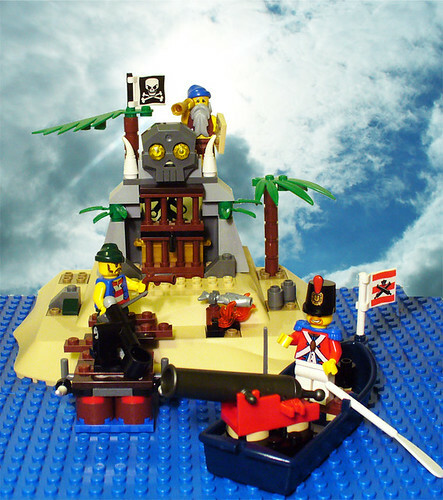 I’ve seen seven of the Pirates sets so far, two of them at LEGOLAND and five at Toys R Us, and of all the sets I find Loot Island to be the best value for your money. Now it does not come with the blue base plate, but it does come with a formed island plate, I just wanted you to see what it looks like on a baseplate. The only thing that I forgot to put in the picture was the crocodile. And for those who remember the Classic Pirates, the cannon is just like the original one, and shoots! 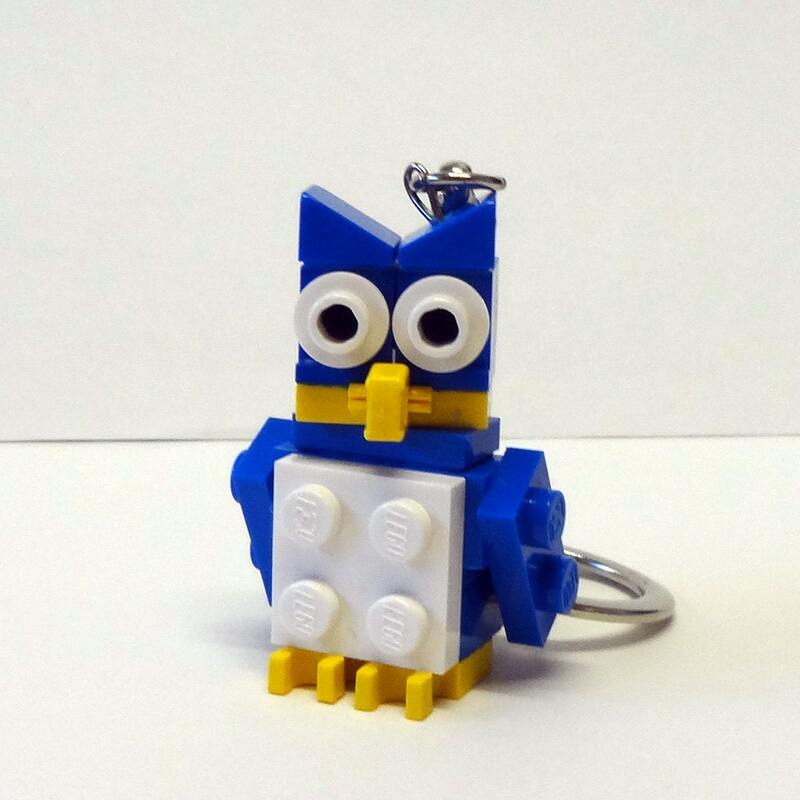 The set is $20, and contains 142 pieces. That is a little lower than some $20 sets, but considering all the new elements that are available in this set, I am very pleased with it personally. As you can see there are 3 minifigures — a pirate, a castaway, and an Imperial Guard. All the minifigs have printed decoration on both the front and the back. There are new fish, telescope, and flame elements. The new 4×4 turntable, in the dark blue boat, is really cool.